Like we see it ! 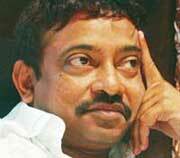 : Why Ram Gopal Verma is like God in Bollywood ? Why Ram Gopal Verma is like God in Bollywood ? This question requires a lot of thought. If you ask me such a question it's like asking a religious man why he believes in religion. He knows it but cannot tell you in simple terms. Will be back on this. Ramu has vision, quite talented..his thinking starts from the point other ppl would have stopped. He is little eccentric and it reflects in his movies too..
Bottomline he is very passionate and he chase his dreams. Best part is he give chance to new comers and extract goodies from them, "Mein madhrui dixit banna chahti hoon" is a good example.